Three steps to unleashing the power of reciprocity to get the first b2b sales appointment. Home » Three steps to unleashing the power of reciprocity to get the first b2b sales appointment. Can reciprocity really pave the way to a first b2b sales appointment? Most sales offers that rely on reciprocity get it wrong, like offering a free carpet clean which is actually just a demo that ends in about two metres of clean carpet. A free offer that’s really just a demo does not engage reciprocity because the sales person is putting his or her interests ahead of the client’s, that anybody with half a brain is going to smell a rat. The result is resentment and ill feeling. In social psychology, reciprocity is a social rule that says people should repay, in kind, what another person has provided for them; that is, people give back (reciprocate) the kind of treatment they have received from another. When you make an offer, that is designed to achieve the first appointment on a b2b call, you must make it an exchange of genuine value. Real-TV’s free eGuide “Never cold call again: How to get that 1st b2b appointment using video” offers genuine value because it provides an inspirational and effective idea and technique for getting the first appointment – no strings attached. 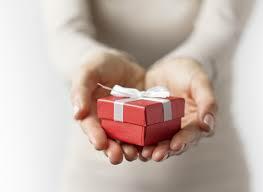 Use your give-away to qualify your prospects e.g. Anybody would want an iPad, but only a genuine customer interested in a solution would want something associated with that solution e.g. a free report on their particular problem. Gifts can be used to surprise and delight, such as the gift accompanying the basket of fruit discussed in the Real-TV guide which is available for you to download. But in that instance, the gift should be genuine, universal and part of the packaging. 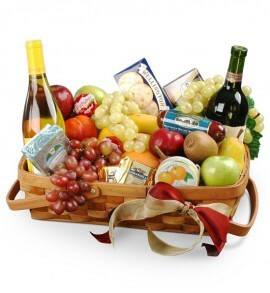 For example, one sales coach we know delivers her book in a basket of fruit to reception. For an incredibly effective way to get that first sales appointment get our free eGuide “Never cold call again: How to get that 1st b2b appointment using video” here. Previous readingHow to use a Barbie doll to get that 1st B2B sales appointment.